Spring into action with our summer of fun issue! Inside, you’ll find our ultimate outdoor fitness guide, with tips on how to get friends and family involved, and an expert piece busting weight loss myths. We chat to presenter Jameela Jamil about why she’s leading the post-body positivity movement and delve into the Governments new calorie counting obsession. 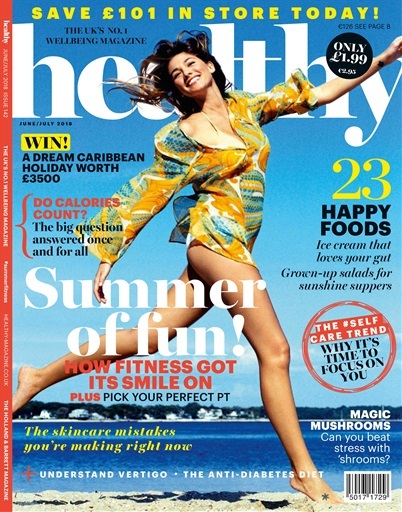 Plus, how to pick your perfect PT, the real women’s guide to summer skincare, and six salads you’d be proud to serve up this summer. 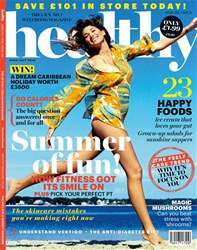 Below is a selection of articles in Healthy Magazine June/July 2018.